On Tuesday morning, fans that gathered at Kettler Iceplex to watch their beloved Washington Capitals take on their ECHL affiliate, the Reading Royals, and two very different goalies stood in their respective creases. In the Caps net was the Royals Brandon Anderson, long time WHL player who was signed by the Caps back in 2010. 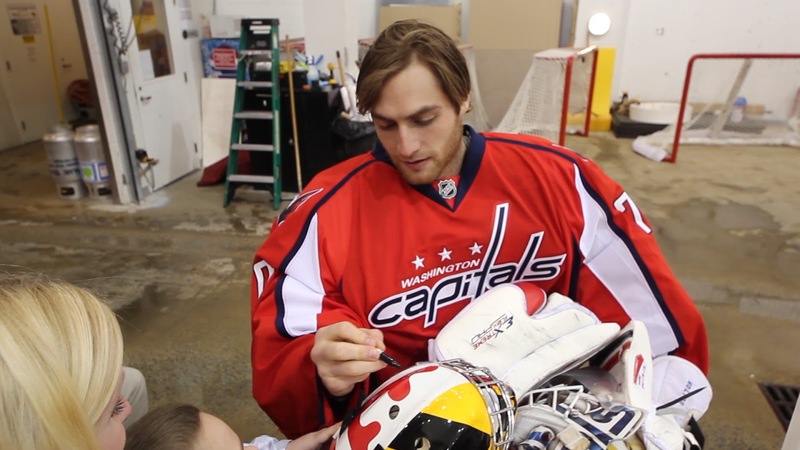 On the Reading side was 2012 playoff hero Braden Holtby, and the presumed starting goaltender for the Washington Capitals. Anderson looked to be in awe of his surroundings. Not surprising as he was backstopping for one of the biggest names to ever play the game in Alex Ovechkin. When handling the puck, Anderson played with a nervous look and many times he seemed surprised to look into his glove and find the puck after a shot. Holtby was a different story. 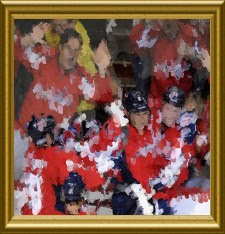 He turned shots away with ease and swallowed up rebounds with nonchalance, despite giving up four goals to his Capitals teammates. He didn't look like a rookie at all, much of which can be attributed to his 14 game playoff run with the team this past spring on an injury call-up. The time spent in Hershey with the Bears, during the lockout, didn't hurt either. Halfway through the scrimmage the Royals other goaltender, 2012 7th round draft pick Sergey Kostenko, took the ice for the Caps and veteran Capitals goaltender Michal Neuvirth stepped in for the Royals. For Kostenko this was his chance to show Caps general manager George McPhee that he was worth the $100,000 they paid for his recent shoulder surgery. It may not be too long before we see Sergey up in Hershey playing alongside former Russian teammate Dimitri Orlov. Kostenko was one of the standouts at Caps rookie development camp this summer. For Neuvirth this was his chance to show that he's still an important part of this team. The Czech goaltender believes he is a starting caliber goalie, but over the years has mostly been relegated to a backup role behind Jose Theodore, Thomas Vokoun, and now rookie Braden Holtby. Neuvy also gave up 4 goals to his Caps teammates. 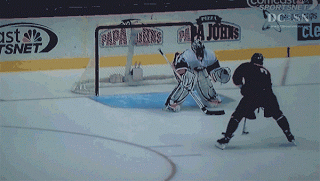 But neither goalie showed anything flashy or brilliant that would boost their reputations significantly. However, both played excellent, stay home, position hockey. 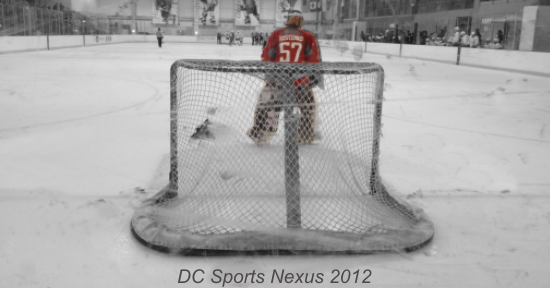 Each goalie played the angles tightly giving up little daylight for players to aim for. Most shots ended up hitting them square in the gut where they were quickly smothered. The score doesn't typically mean much in a scrimmage, but in the end the Caps handed the Royals a rather hefty defeat earning the two prospects Anderson and Kostenko the prized shutout victory. But regardless of the score the Caps are definitely the winners in this one as it looks like they will have very solid netminding for many years to come.